You’re short, and that’s great—but maybe you don’t want to accentuate it. While actual growth is out of the question, you can change the way you appear by knowing what not to wear. If you’re wondering if your clothes don’t look right because you’re on the shorter side, it’s entirely possible that you’re just wearing the wrong trends. 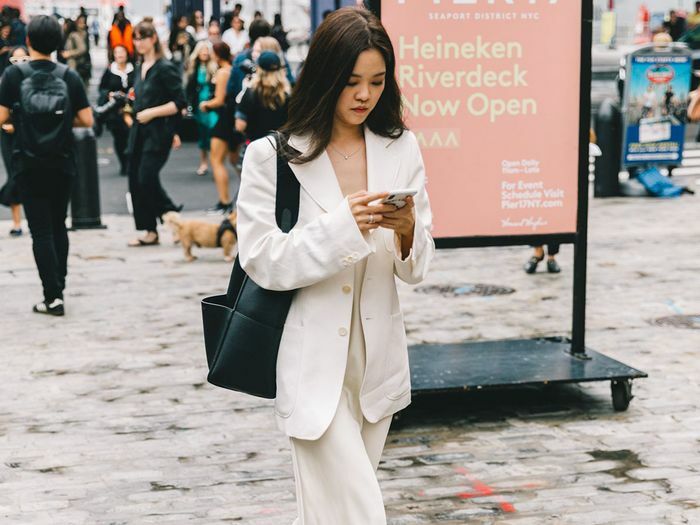 From avoiding a particularly tricky print to knowing the right silhouettes to stock up on, dressing for your height comes down to a simple set of fashion guidelines. Which is why we put together our edit of the best clothes for short women looking to embrace and accept their stature. Keep reading to find out which fashion trends to avoid if you’re short, and shop our top picks for petite girls at the end. Tip #1: Instead of tunic tops, try cropped silhouettes. A cropped style can help elongate any look and is an easy way to add a flattering and on-trend dimension to your outfit. Pair it with your favorite pair of high-waisted pants for an easy look that won't seem baggy. Pair this with your favorite high-waisted jeans for a full look. Plus, it's on sale. Tip #2: Instead of shirtdresses, try gathered or wrap dresses. If you're on the petite side, a shirtdress can easily swallow you up and make it look like you're accidentally wearing an oversize style. Try a gathered or wrap dress instead to ensure that your look is falling just right. This knot dress is so chic, and it comes in petite sizing. Tip #3: Instead of oversize layering, try tailored layering like suiting separates. A well-tailored chic pantsuit looks good on any body type, but especially on someone petite. A sleek blazer and suiting pants are a great dressier option for someone on the shorter side. Meet your new work pants. 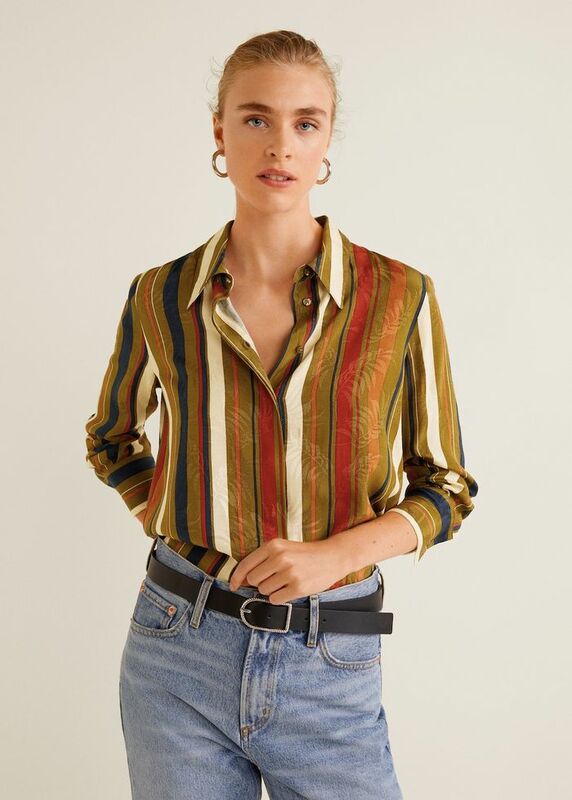 Tip #4: Instead of horizontal stripes, try vertical stripes. Horizontal stripes typically give a widening illusion while vertical stripes are elongating. So, the latter is a sophisticated go-to for shorter girls. Tip #5: Instead of boxy tops, try corsets and structured shaping. Structured tops are a guaranteed way to make sure you're showing off your figure and not getting swallowed by oversize pieces. The perfect top to wear with jeans. Tip #6: Instead of printed jumpsuits, try solid-colored one-pieces. Solid colors are often considered more flattering and give an overall statement look rather than loud prints that can overwhelm a small figure. Pair this with statement boots. Tip #7: Instead of loose-fitting jeans, try straight-leg denim. Don't drown yourself in oversize denim. Instead, opt for a straight-leg fit that still gives the illusion of bagginess while remaining more formfitting. Tip #8: Instead of midi skirts, try minis. Midi skirts can cut shorter legs in the wrong place. Opt instead for a miniskirt to elongate. 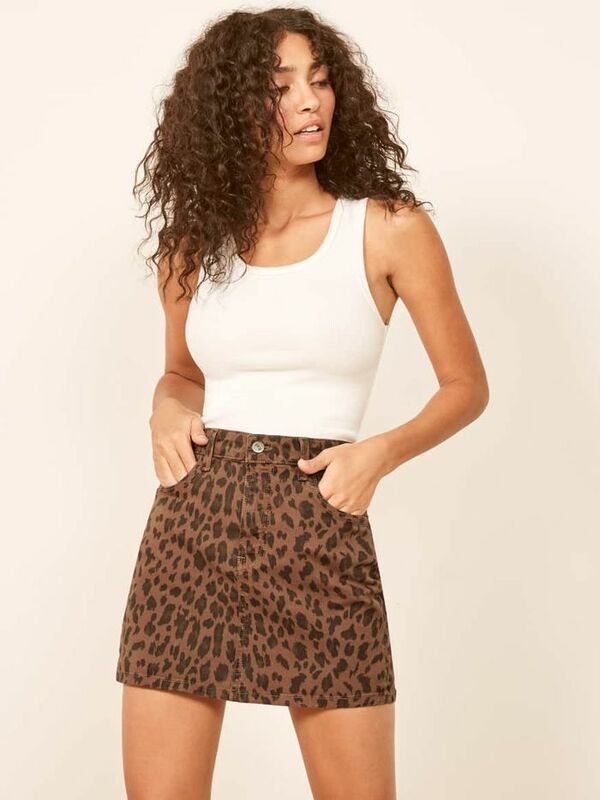 This animal-print one is so on trend. Tip #9: Instead of oversize handbags, try mini bags. A mini bag for a mini person. There's no better way to create the illusion of size than with tiny accessories. A petite bag as cute as you are. Tip #10: Instead of tea-length dresses, try hemlines that hit above the knee. A shorter hemline lends itself to the look of longer legs. If you pair it with some high heels, you'll be looking taller in no time. Because let's be honest: Who doesn't love a good wrap dress? Tip #11: Instead of mid-calf boots, try ankle boots. Mid-calf or knee-high boots cut your legs off in places that are less flattering. Try ankle boots instead to flatter your legs by being less covered up. Patent leather boots? Yes, please! Tip #12: Instead of ankle-strap heels, try those with a low-cut vamp. Pointed-toe heels are instantly sleeker than round-toe shoes. This post was originally published at an earlier date and has since been updated by Emily Greenberg.